Paydirt! 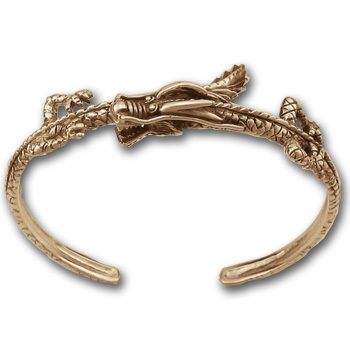 Designed by Colorado artist James Walton, this Dragon Torque Bracelet is the epitome of quality! 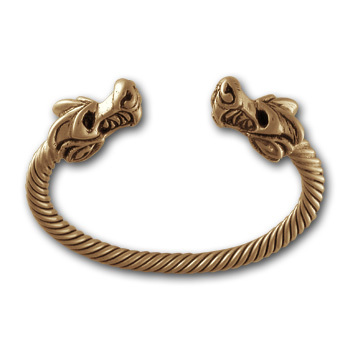 Hand-braided 14k gold wire is soldered to a 14k gold cast Dragon Head Finial in this exceptional gold Dragon bracelet! Really, you won't believe the weight and feel of this piece!